Aquarius New Moon (January 20th) begins the year’s first moon cycle, bringing in new, lighter energy. Compared to the tense mood of the late fall, this fresh new cycle might sweep the energies into motion with its cosmic broom. There is a sense of new beginnings. From an earth-perspective, Mercury goes into one of its three retrogrades of the year from January 21st to February 11th, calling attention to thought patterns and internal processes. Mercury in Aquarius is rational, objective, cool and analytical. This is a good time to let go of old subjective and emotionally dependent world-views, and to look at things from a wider perspective, be tolerant, and understand different points of view, instead. Mercury Retrograde has a bad reputation: machines break, IT and logistics go on the frizz, buying cars or electronics is inadvisable, signing contracts likewise; backups need backups. These ideas are based on fear and generalizations of the mind, however. Rather than acting from a place of fear, try enjoying the contemplative and analytical nature of Mercury retrograde. You might suddenly see things differently than you did before; you might end up changing your mind about something, or cancel plans you’ve already made. Something in your past that was left unfinished might crop up now to demand your attention. This is a good time to examine things critically and to shine a light on your inner self. What are you creating with your thoughts right now? Is it something you want? What things should you reconsider? Is there something in your life that requires a fresh perspective? Pluto and Uranus, the harbingers of change, are battling under the current moon again as they have done for some years now. The Pluto Uranus square signifies a process of collective change where old structures are dismantled and new models begin to form in their stead. Those who undergo the transformation in their personal lives can sometimes feel that none of the old remains – the slate is wiped clean. The first part of 2015 has been about dismantling old, karmic, or inherited baggage. Letting go of the old, and fearlessly giving into change, is recommended, as this will allow you to harness strong and renewing energies. Central themes: Objective and rational point of view. Change of mind. Past things cropping up. The process of becoming free. Letting go. From ‘me’ to ‘us’. Reconnecting with old friends. Compassion, good will, creativity, and presence. 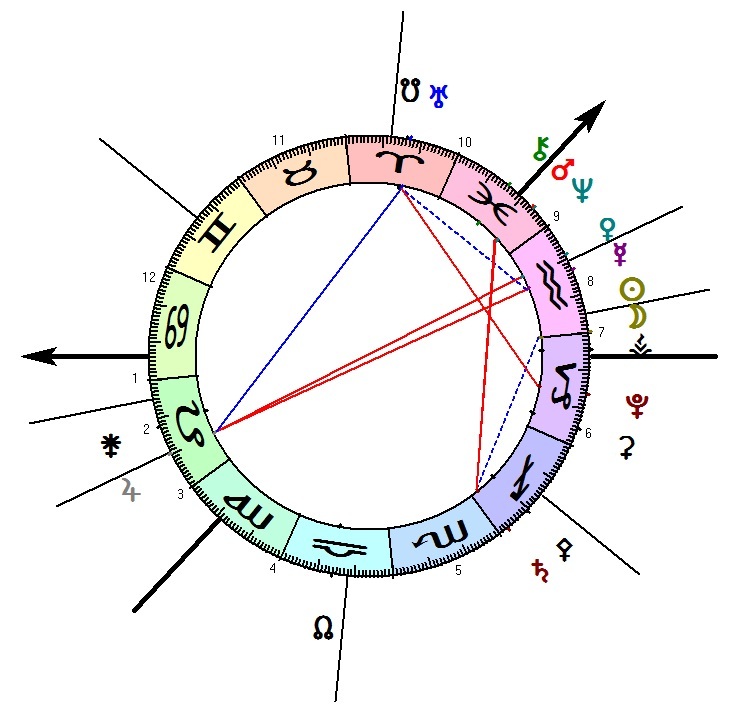 Astrological codes: Sun ingress Aquarius, Mars conjunction Neptune, Mercury Retrograde, Pluto square moon nodes, Venus ingress Pisces, Mars conjunct Chiron, Uranus opposition north node; Mercury Direct Motion, Jupiter quincunx Chiron (Uranus square Pluto).